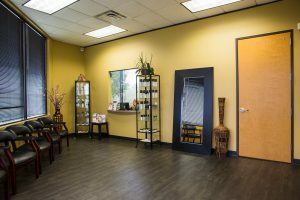 Here at Hill Family Medicine & Skin Care, we are proud to provide the Austin and Bee Cave area with outpatient care services. Ranging from a quick wellness exam to intensive blood work or urinalysis, we make it a priority to ensure that when you visit our clinic, you feel heard and that you understand what options are available to you. Whether this is your first visit to our outpatient clinic or you have visited our family physician many times before, we welcome you to book an appointment today at our clinic. Outpatient care — also referred to as ambulatory care — is medical care that does not require an overnight stay. Outpatient care is a wonderful fit for many scenarios and allows a patient to recover in the comfort of their own home. Not only is outpatient care more comfortable for many patients, but it is far less expensive than overnight stays. While there are obviously certain scenarios in which overnight care is needed, many modern medical procedures allow patients that were previously confined to a hospital bed return home the same day. From ongoing treatment for chronic illnesses, such as asthma, to a one-time visit for an ear infection, outpatient care enables you to receive the medical care you need at the time you need it, without requiring you to spend more time than necessary at our facility. Don’t see the outpatient care you need listed above? This list is not comprehensive and we will be happy to speak with you about your specific medical needs. Our trained physicians are equipped to assist you with an array of medical services. Here at Hill Family Medicine & Skin Care, we understand how stressful a visit to the doctor can be. It is hard to trust your medical needs to just anyone. This is particularly true if you have been concerned about a particular ailment or illness. Our goal is to put our patients at ease from the moment they walk through the door. We want you to feel assured that you can count on us to provide you with attentive and meaningful care. As a locally based outpatient care clinic, we are invested in our work. We care about our reputation in our community and we work hard to ensure that our neighbors’ needs are met. Whether you are coming to us with a chronic illness and you need new ideas for treatment or you are simply visiting for a checkup, we will listen carefully to your needs in order to provide you with the ideal options. If you are looking for a family physician that you can count on for quality medical care, we invite you to book an appointment at our clinic today. Whether you need to stop in for a quick vaccination for your kids or you are looking for a long-term solution to an ongoing chronic medical condition, we will be honored to serve your needs. Our outpatient care clinic is located on the border of Austin and Bee Cave. We provide service for patients across the hill country area, including Lakeway, Westlake, and surrounding communities. If you have any further questions about the medical care we provide, don’t hesitate to reach out via phone at (512)428-5764 or book an appointment online.